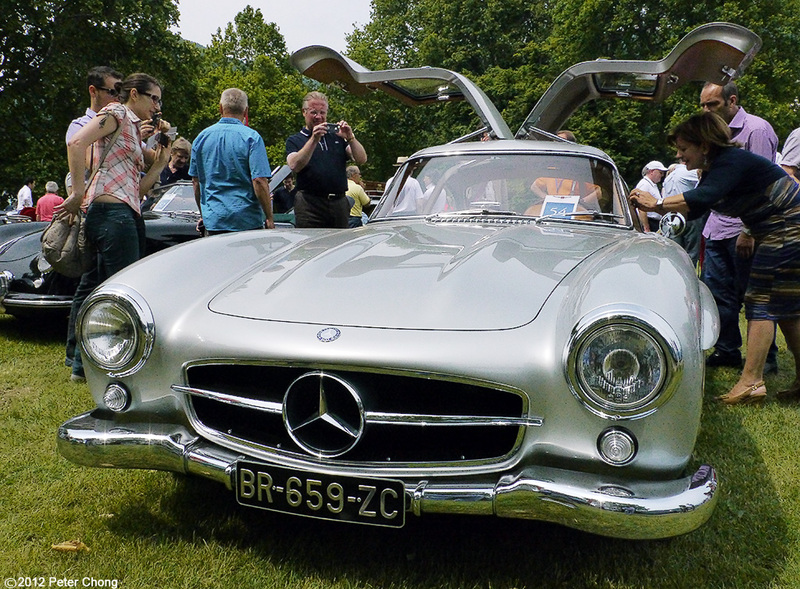 Mercedes Benz 300SL 1956...magnificent, gull wing automobile...a legend in its own time. Powered by a 156kW, 6 cylinders, 2995cc with injection and a top speed of 260 kph. 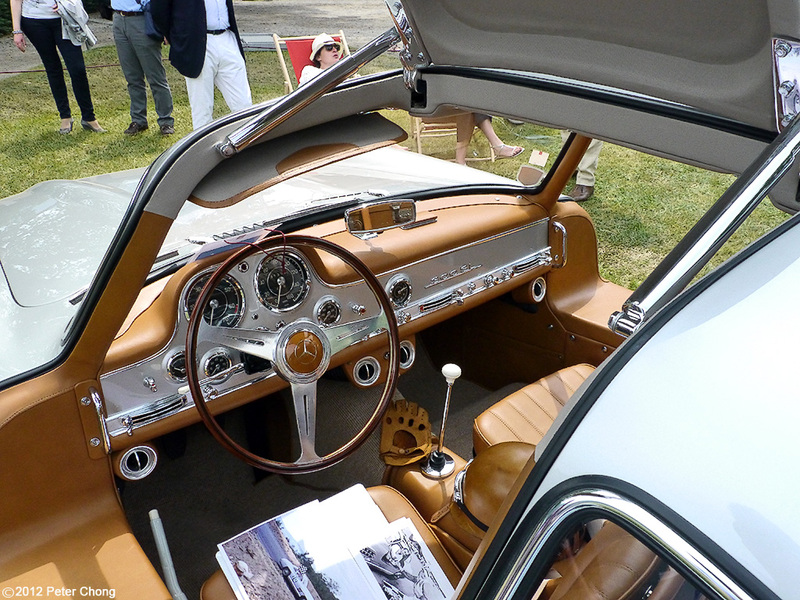 The coachwork is by Coupe Gullwing, Mercedes Benz. 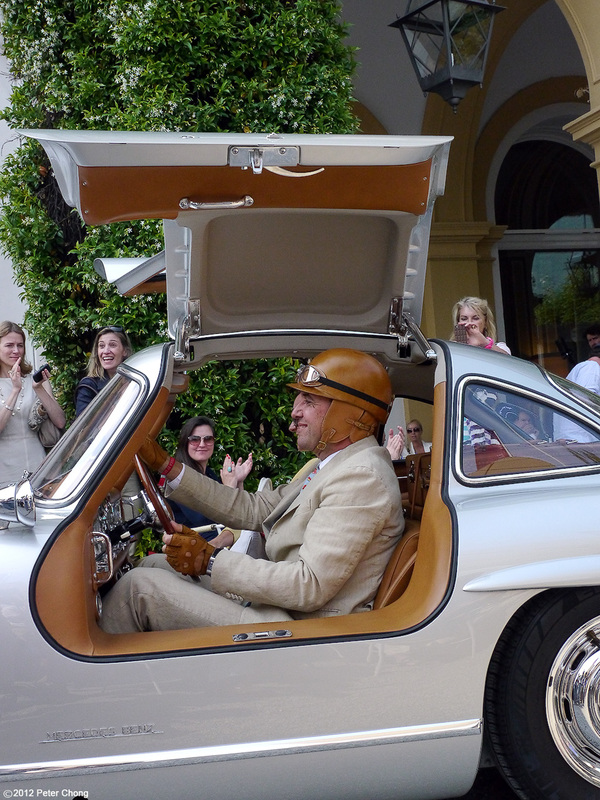 Entered into the Concorso D'Eleganza della Villa D'Este 2012 by a collector from France. Based on a sports car, this automobile was based on the Type 300 saloon that Mercedes used in 1952 for racing. 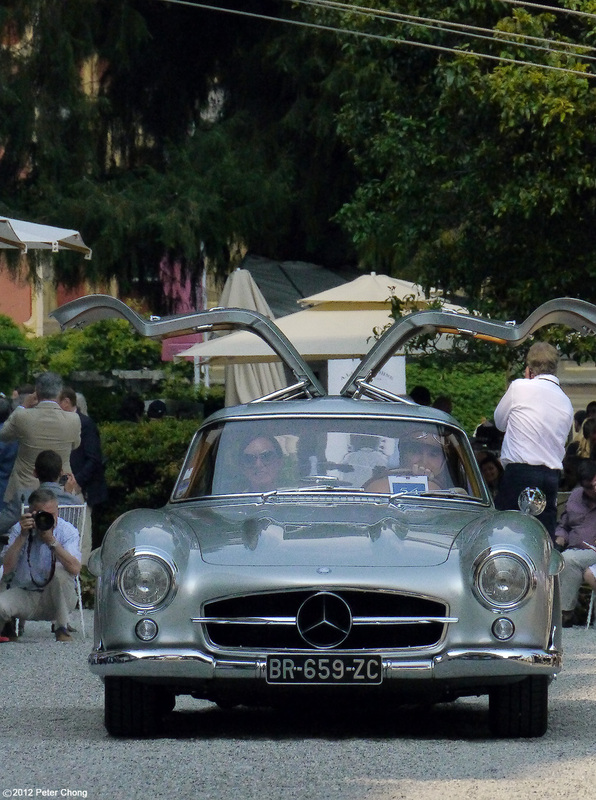 Mercedes achieved numerous success with this coupe, including the Mille Miglia, Le Mans and the Carrera Panamericana in Mexico. The owner decked out in period dress and matching leather covered helmet and gloves. The car was popular, particularly in the US market.The boot lid, engine bonnet, sill and door panel were made out of aluminium as standard. Nose bleed! 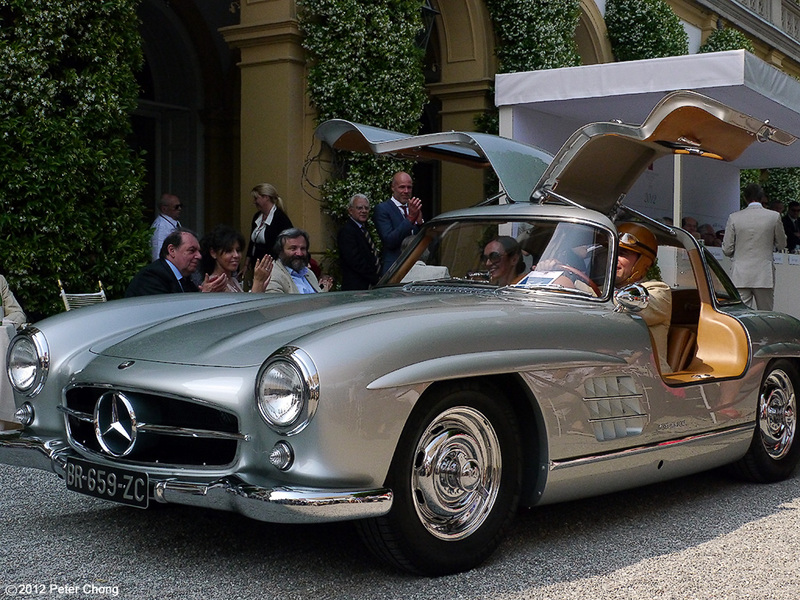 Its amazing how far ahead of its time this SL was... TU for capturing it so beautifully.